First, let me say how awesome this event is! 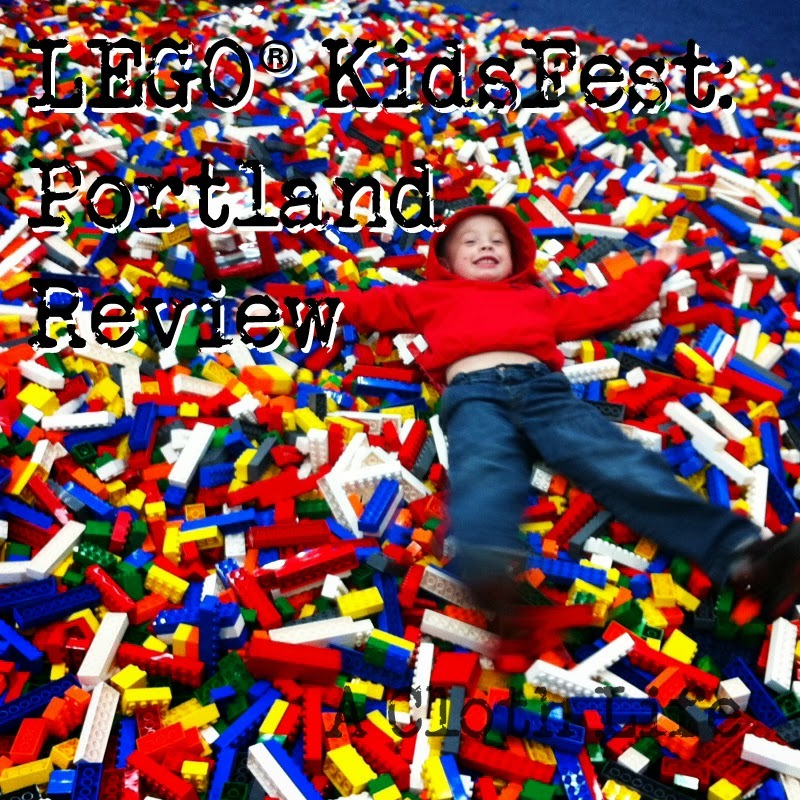 My entire family had an amazing time at LEGO® KidsFest. I received free admission for us in exchange for promoting the event and posting my honest review. G and I arrived right at opening, and there was already a crowd. (My husband arrived shortly after with N.) There is so much to see and do, we almost didn't know where to start. The life-sized LEGO sculptures are impressive, to say the least. I think G's 2 favorite areas were the brick piles, and the activity area. The brick pile is just what it sounds like - an ENORMOUS pile of LEGO bricks on the floor. Fun to build with, and apparently fun to lie in (as you probably noticed in that very first picture). The activity area is where they run team-building, LEGO-building contests. The kids line up on a red line, get teamed up with the kids around them, then build as assigned. G did this twice. The first time, they were building Krabby Patties (ala Spongebob Squarepants). The next time he competed, the assignment was to build the tallest tower (in 3 minutes), then carry the tower to a display table as a team and without it falling apart. G's tower didn't fare too well in its travels, but it was still a lot of fun. For all competitions, all kids were rewarded with a small LEGO set upon completing their assignment. G was pretty happy with that. All in all, there were sculptures, games, activities, classes, videos, and even a scavenger hunt! I think there was the opportunity to play with just about every single LEGO theme available. This gave us a great opportunity to check out some different sets pre Christmas shopping. I honestly had no idea just how much both my kids love LEGO. I'll be sure to let Santa know. Seriously, even N just wanted to build - cars, space-jets, and towers. I'll definitely recommend this to families considering going. It was so much fun to be there as a family, and watch my kids really get to stretch their imaginations playing with all the loose LEGO pieces available to them. We were there 4-1/2 HOURS, but the time flew we had such a great time. The place was packed, but they only offer a limited number of tickets per session, so I really recommend ordering your tickets ahead. 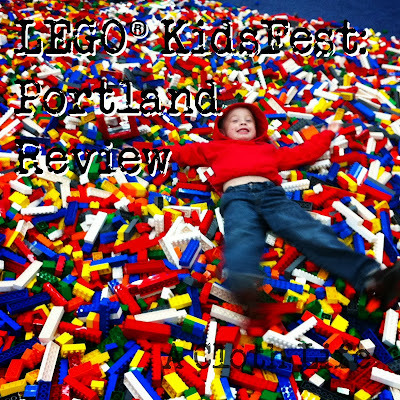 The Portland event only runs through the end of this weekend, but LEGO KidsFest travels nationwide. Check out the website HERE for more information. Have you heard of any fun new, or new to you, events travelling around? We've got a few more events scheduled for our family that I plan to share with you soon! I received free admission for my family in exchange for promoting this event as well as posting a review. No other compensation was given. All opinions are my own.